The concept of the prodigy is one that is very uncommon and rare to find but upon meeting a prodigy, they are quite easy to notice. Few people will be described as a prodigy in different fields and one of such people is the basketball player Zion Williamson. In his short time as a basketball player, this young man is already standing apart from his colleagues and receiving recognition for his performance in the sport. 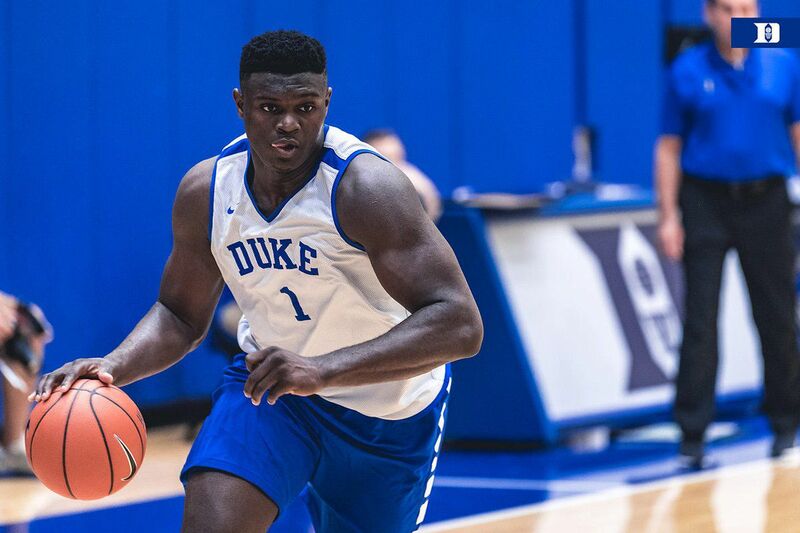 Are you interested in learning more about the talented Zion Williamson? Keep reading. Zion Lateef Williamson was born in Salisbury in North Carolina to Sharonda Simpson and Lateef Williamson on the 7th of July in 2000. For high school, Zion attended Spartanburg Day School in South Carolina. His career in the sport did not begin while he was in high school rather it can be traced to earlier attempts to get into the game with help from his mother who coached him and his step-father who played basketball at the college level. Basketball is not the only game that Williamson has expressed interest in or even played. As a kid, he played soccer as well as football, but he quit both to face basketball squarely. He began training for the sport at the age of nine. Of the six schools he had the option of starting his college career at, he chose Duke University. His decision was influenced by the university’s coach, Mike Krzyzewski. He made the announcement to attend the university on the 20th of January in 2018 by August of that month he played his first game. Zion Williamson played basketball actively while attending Spartanburg playing for a team called Griffins. It was while he played for this team that he perfected what came to be known as his signature dunk move, which has earned him popularity on the internet. He practiced those dunks right before his first season, by the time the season came around he was dunking circles around his teammates. The first season he played, he earned 24.4 points and managed to lead his school to a state championship. The next year as a sophomore, his points increased to 28.3, the following year his points got up to 36.8 points. By the time he was a senior, he had accumulated 37 points on average. His high school career is riddled with awards that speak of his performance as an impressive player of the sport. Williamson has continued to record impressive stats with many NBA teams having their eyes on him. The first major injury he experienced was during his senior year in high school during the McDonald’s All-American Game, wherein he was taken out in the 18th minute after scoring 8 points. Williamson’s next major injury came in his college year during a game against North Carolina in February 2018. The injury which was rated as a grade 1 knee sprain forced him to take a break from the team and the ripple effects of the injury resulted in controversy and calls for him to quit his college career as he was already an established top prospect for the NBA 2019 draft. Fortunately, Zion Williamson recovered from his injuries and by March 2018 resumed playing for Duke staging a comeback that left his critics’ mouth agape. He is the only child from his parent’s union but he has a stepbrother Noah Anderson from his mother’s marriage to a man called Lee Anderson. Zion’s mother teaches Physical education while the occupation of his biological father is not known. However, it is known that while his father was in high school, he played basketball. This makes it clear that Zion gets his gifts for sports from his parents – one of which played the game while the other teaches PE and ran track during her college years. It is common knowledge that basketball players need to be tall and Zion Williamson is not lacking in the area of height, he stands at the staggering height of 6 feet and 7 inches. Being tall is not all that is required of the physique of basketball players, they tend to weigh a lot as well, but the weight is mostly in muscle mass. Williamson is not an exception to this as he weighs 285 pounds.